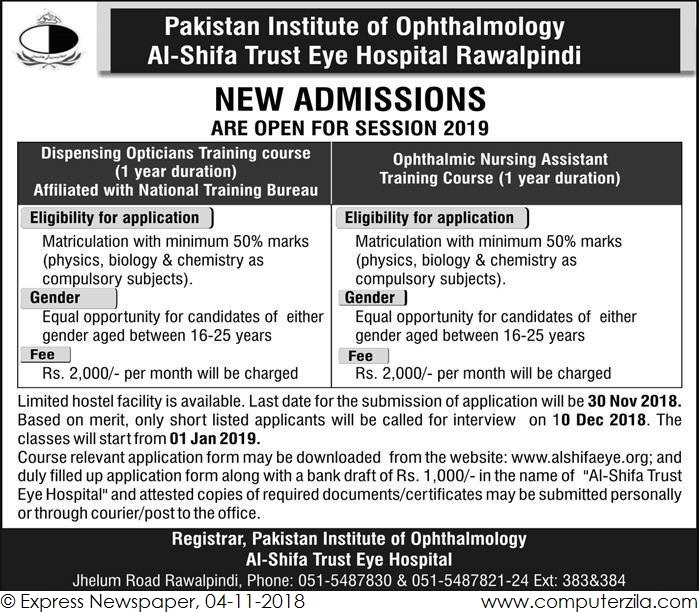 Admissions Open at Pakistan Institute of Ophthalmology (Al-Shifa Eye Hospital)'s Main Campus Rawalpindi for the batch Spring 2019. PIO offers admissions in different fields of study for Diploma Programs. Campus AdressAl-Shifa Trust Eye Hospital, Jhelum Road, Rawalpindi, Pakistan.